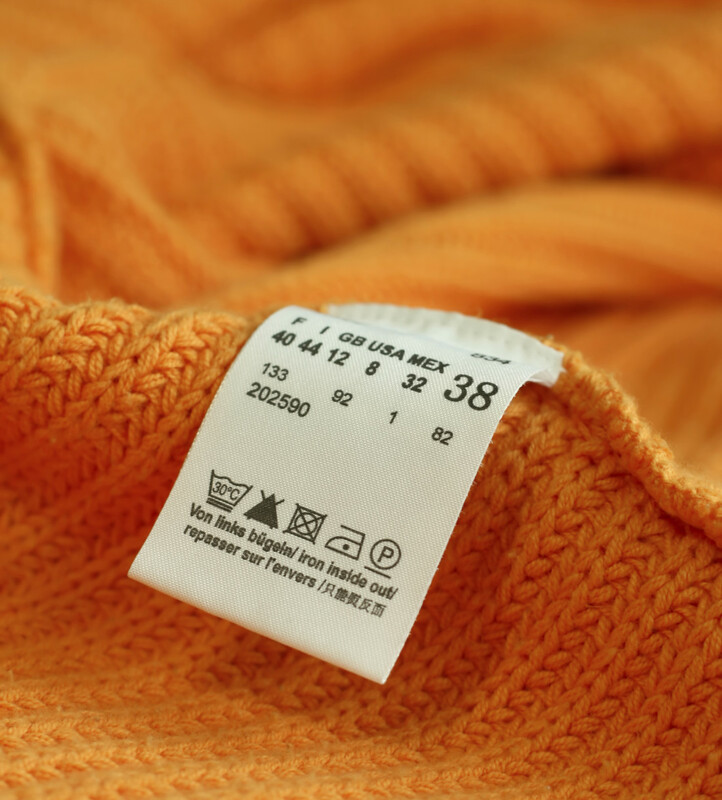 If you manufacture, import, sell, offer to sell, or distribute garments or textiles for household use, you need to know about labels. If you don’t know precisely what you must label, or know the necessary content or location of your label, I highly recommend reading Threading Your Way Through the Labeling Requirements Under the Textile and Wool Acts, published by the Federal Trade Commission. Threading Your Way is a much easier read than the Textile Products Identification Act, 15 U.S.C. § 70 et seq, and offers a lot of “how to” advice to include how to obtain and use a Registered Identification Number (“RIN”). How should I label upcycled garments? If you are upcycling a garment that doesn’t have a label, take your lead from the requirements for constructing a garment from remnants or other “resourced fabrics” that were not labeled with fiber content and origin. Your label for the finished product must read: “Made of remnants or undetermined fiber content and origin” or an equivalent statement. If you are upcycling a garment that has a label, and you want to replace it with your own label, your new label must: list your name or RIN; and convey the same required information as was on the label. If you are a retailer, you must keep for three years records that show the information on the removed label and the company from which the garment was received. Do I have to label samples and “custom” garments that I sell to my fans? Every designer I know has a fan following - family, friends and “regular” customers. These informal relationships are great, but the FTC doesn’t offer a “friends and family” exception, or small quantity exception, to labeling requirements. Also, reading the “samples” requirements in Threading Your Way will make you cringe, since required “sample” markings and “mutilations” would render the garment unusable. And don’t get excited by the idea that your samples might not need a label where labeling requirements do not apply until products are ready for sale to consumers. I say this for two reasons. A product is “ready for sale” when the manufacturing or processing of the product is “substantially complete.” Assuming your samples are wearable garments, they are, then, ready for sale to a consumer. Also, if not “substantially complete,” you need to provide, in an invoice or other document, all of the information that would be required on a label. 16 CFR § 303.31. Where you still need to gather and provide all of the information that would be on a label, the safe course is to label. While samples and custom pieces must be labeled, regulations do not specify that you use any particular form of label - it simply needs to legibly include all of the required information, be conspicuous, and affixed in a secure “sufficiently durable” manner – meaning it must remain attached until it reaches the consumer. Where your samples and custom pieces will, presumably, be delivered by you directly to your consumer, you should not need to invest as much time to create and attach a label that needs to pass through other hands, processes, hang on a store rack and make multiple trips to a dressing room.